Paul Lightfoot and BrightFarms are working with supermarket chains to fix our broken food system. 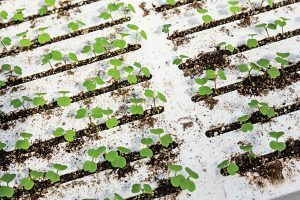 One June morning at the sprawling BrightFarms greenhouse in Bucks County, Pennsylvania, Paul Lightfoot, LAW ’96, pulls a Styrofoam board bursting with arugula from its hydroponic home. Just three weeks after seeds for the popular salad green were germinated in the grooves of the board, the crop is ready for harvest. A day later, the arugula will be on sale in one of more than 100 A&P-brand supermarkets in Pennsylvania, New York, and New Jersey. It’s part of Lightfoot’s bold initiative to grow vegetables locally that need less water, require no pesticides, and have a carbon footprint considerably smaller than those greens raised by agribusiness giants out West. Dressed in a striped oxford shirt and a floppy beige hat, Lightfoot beams when talking about growing 125 tons of produce a year with the latest in hydroculture technology. 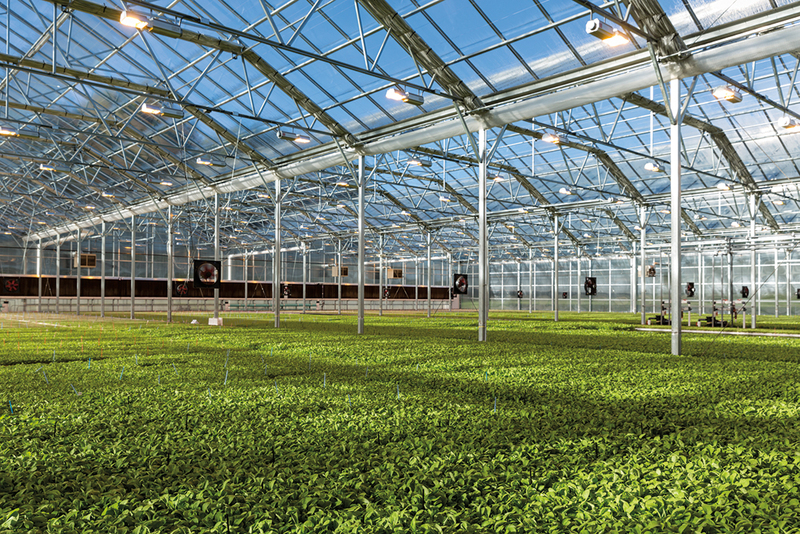 The 1.3-acre greenhouse in Lower Makefield Township, just west of the Delaware River on the Pennsylvania-New Jersey border, was built in a corner of the municipality’s 234-acre Patterson Farm. It’s the prototype for facilities the company wants to erect in urban areas throughout the country. 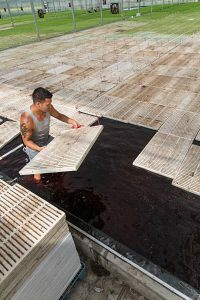 Some, like the one in Lower Makefield, will be built on the ground, with a 15-inch-deep pool of nutrient-rich water set on an impermeable membrane and sided with cement walls. Others are designed for rooftops. 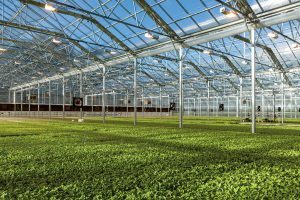 In June, BrightFarms signed a lease agreement with the District of Columbia, where the company plans to finance, build, and maintain a 120,000-square-foot greenhouse near the impoverished Anacostia neighborhood. The company has partnered with the supermarket chain Giant Food, which will distribute what’s grown to its 50 stores in the capital region. Lightfoot believes the site will become one of the world’s most productive urban farms. BrightFarms is also working with the New York City Economic Development Corporation in the hopes of finding a suitable location to build, possibly in the South Bronx. The BrightFarms concept builds on the increasing clout of the local-food movement, as consumers seek produce grown close to home and raised in an environmentally friendly manner. Locally grown food can also be tastier and more nutritious because growers don’t have to limit themselves to producing varieties hardy enough to survive a transcontinental journey. Lightfoot notes that 90 percent of America’s lettuce comes from California and Arizona, and gets trucked thousands of miles across the country to East Coast supermarkets. Shrinking the supply chain is one of the central benefits of the BrightFarms concept, with monetary and environmental costs of cross-country trucking significantly reduced. BrightFarms was founded in 2006 by Ted Caplow, an environmental engineer who designed the Science Barge, which uses hydroponic methods to grow food on a vessel docked on the Hudson River in downtown Yonkers, New York. For nearly a decade, he’s been a leading advocate for the use of hydroponic methods to spur the growth of the urban agriculture movement. In 2010, he turned to Lightfoot to develop a strategy to help make his dream a reality. Before joining BrightFarms, Lightfoot led two software companies, Mincron and Al Systems, that helped retailers move merchandise more efficiently from distribution centers to stores. At BrightFarms he decided to implement a business model popularized by the solar-power industry, in which solar firms negotiate long-term contracts with commercial electricity users to buy power the firms generate. The deals are called Power Purchase Agreements, or PPAs. Lightfoot wanted the supermarket industry to ink long-term contracts for produce. He had some convincing to do. The industry had little experience with long-term fixed-price contracts. Venture capital firms, meanwhile, were leery because Lightfoot’s model lacked a track record. If BrightFarms succeeded, these investors would make money and their equity stake in the company would grow in value. But Lightfoot had to prove that his large-scale greenhouse project could turn a profit. 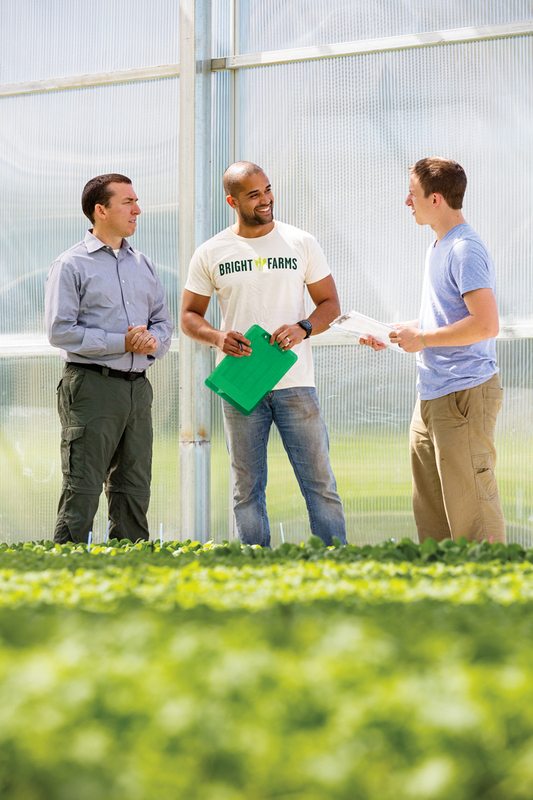 By mid-2014, BrightFarms had produce purchase agreements valued at more than $100 million. These commitments have provided the financial stability to attract nearly $20 million in capital from investors betting that sustainable, locally sourced produce grown in high-tech greenhouses is the food industry’s next big thing. Developing urban agriculture wasn’t on Lightfoot’s radar screen when he arrived at Fordham Law School in 1993, after earning a bachelor’s degree in philosophy at Lehigh University. 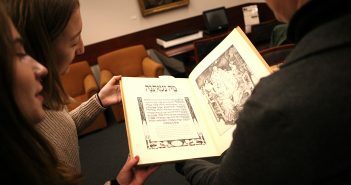 He was the latest in a long line of family members who’ve matriculated at Fordham, including his father, an uncle, a grandfather, and his sister. He also met his wife, Karen Milhoua Lightfoot, LAW ’95, in the Law School library. They were married in 2001 at the University Church on the Rose Hill campus and now live in Briarcliff Manor, New York, with their three children: Amelia, Charley, and Annalise. Lightfoot says law school taught him to consider every side of a difficult issue, a crucial skill for a social entrepreneur bent on creating new ways to develop a profitable business. After law school, he was an associate at Cadwalader, Wickersham & Taft. But two years later, as his interest waned in the practice of law and his father’s health deteriorated, he took a leave of absence to spend time with his dad in his dying days. He never returned to Cadwalader. Instead, he began his life as an entrepreneur as CEO of Foodline, an online restaurant reservation platform that was introduced in 23 urban markets with the aid of $13 million Lightfoot raised in venture capital from such partners as American Express and Ticketmaster. When the 2001 dot-com bust dried up Foodline’s funding, Lightfoot discovered the field of supply-chain management. For the next decade, he built a business that devised strategies and software to improve the flow of merchandise from distribution centers to stores. 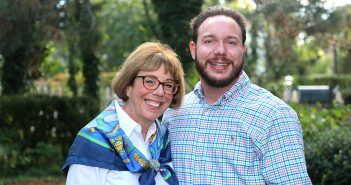 At the same time, he became increasingly focused on having his family eat healthier, moving “away from processed food,” he recalls, “into a more organic diet.” After connecting with Caplow, he decided to follow his passion. He began BrightFarms’ transformation into a leader in the sustainable-food movement inspired by the most local unit of all: his family. At the BrightFarms facility in Pennsylvania, Lightfoot takes a visitor for a tour through the climate-controlled greenhouse, which cost $2.8 million to build in 2013. The air temperature stays in the range of 68 to 72 degrees, with a Dutch computer system running the greenhouse’s fans, chillers, and heaters. On the roof a rainfall collection system conserves water for the 15-inch-deep hydroponic pool, which is controlled for acidity and infused with fertilizers, iron, and dissolved oxygen. 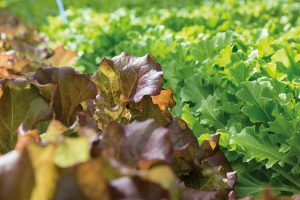 Growing there are arugula, basil, kale, and seven varieties of lettuce for BrightFarms’ Spring Mix and Asian Mix. 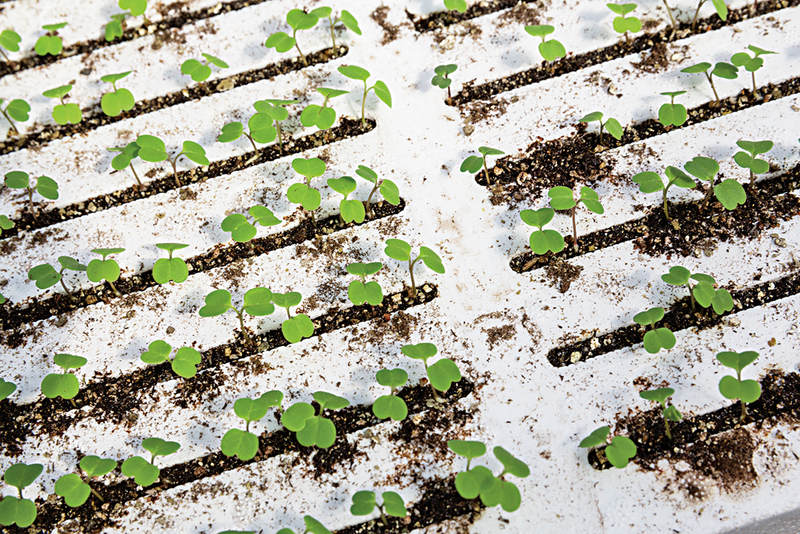 Seeds are germinated over two days in the furrows of Styrofoam boards using a system developed in northern Italy. The boards are then placed in a line on the far side of the pool, which is divided into seven ponds. Farmers move the seedling-filled boards toward the near side of the ponds over three weeks. Boards at the front are harvested at 6 a.m. six days a week, with the produce fed into a machine that cuts the stems and packages the lettuces and herbs in containers labeled “locally grown.” The packages are stored at 34 degrees as they await a truck to bring them short distances to regional supermarkets. “We’re producing large quantities of food, which is good quality, and at low prices. We’re improving the supply chain. —David McKay Wilson, a columnist for The Journal News, is a frequent contributor to FORDHAM magazine.